We Can See Edith by Radio is a 3:00 sound art work that responds to the question, "What is the audible form—the sound—of the intermediary, and what does this entity (person, myth, animal) herald?" To me, the intermediary is radio. We Can See Edith by Radio provides one tuning. One of ten international sound art works selected for the second annual "Liminal Sounds" exhibition at Earlid, curated by Joan Schuman. 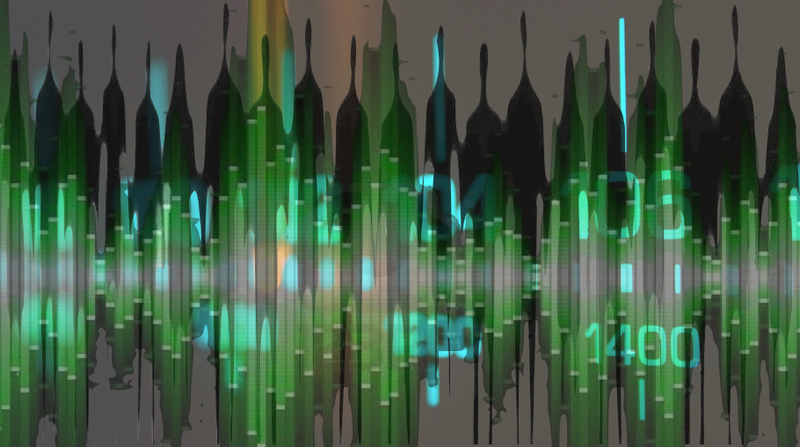 Earlid is an online gallery of evolving exhibits of sound art. The exhibition theme was The Intermediary. Responses to the exhibition theme were to be short (1-5 minutes). My work We Can See Edith by Radio is here. A second submission, Darkness , was not selected, but I archive it here. Soon after its implementation at the beginning the twentieth century, radio was thought to facilitate communication with spirit spectrums, parallel dimensions, even alien worlds. Thus, radio is the intermediary with its sound(s) arriving through the ether, heralding hearing from and being heard by others in alternate realities or worlds. Sampling electronic voice phenomena and radio signals from space, We Can See Edith by Radio provides one tuning of the intermediary radio. I first explored this idea of using radio to communicate with alternate realities in Contact . The intermediary is the inner voice, encouraging / discouraging our undertakings with alternating emphasis. Darkness imagines such a dialogue in the mind of a young woman walking to the hospital with eyes covered ("for good practice") where she will undergo an operation that will either save her failing eyesight, or result in permanent blindness. In this radio drama produced with students at the Audio Drama Seminar, Copenhagen, Denmark, August 2014, the intermediary heralds the uncertainly that lies ahead, in the darkness.